How many times have you or I thought that major success is tied to ruthlessness and being tough. 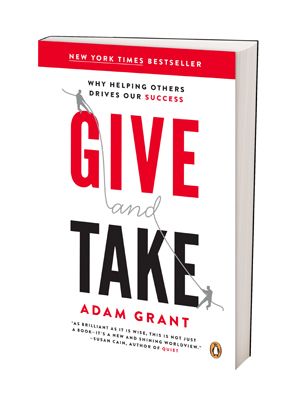 The main point of Adam Grant’s book Give and Take is that it’s not exclusively the takers, the tough guys, the self-promoters—who rise to the top of the success ladder. 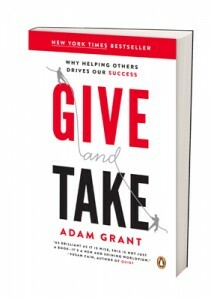 The surprise thesis of Adam Grant’s book Give and Take is that you’ll find many givers at the top and a majority of takers and matchers in the middle. Perhaps not surprisingly, many givers can also be found at the bottom of the success ladder because they over give, don’t focus on their own productivity and/or burn out. The book is full of entertaining real life anecdotes similar to Malcolm Galdwell’s book Blink. The stories explain how givers benefit from giving by bringing positive attention to themselves, building goodwill, and therefore making friends and being lauded by others. One of my favorite stories from the book is about a comedy writer named George Meyer whose spent a rich career writing for Late Night with David Letterman, Saturday Night Live (SNL) and The Simpson’s. In the book, Grant and others credit him as the “mastermind” behind much of the humor on The Simpson’s. 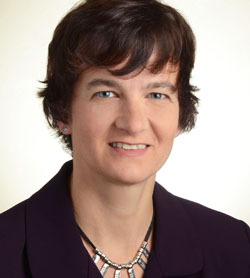 Grant describes how Meyer’s would act as a collaborator in the competitive environment of SNL. The most popular guests like Madonna would get piles of sketch submissions. Lesser guests would get fewer sketchers but Meyer would go out of his way to create hilarious material to make less well-known guests shine. These good soldier efforts contributed to the shows success and that of the whole team. Colleagues saw him as a collaborator and giver not a competitor. While the book is full of research and interesting stories there is also practical advice and examples about where givers are vulnerable. There is a chapter on how not to be a doormat, give away too much or damage one’s own productivity. Along those lines, I also appreciated this article from Adam called 8 Ways to Say No Without Hurting Your Image. If you are looking to grow your business success, you might want to take a look at your web team and web presence. For help with your online marketing and web site, check us out at Full Orbit Web and Marketing. Our mission in business is to partner with you to help you thrive online. Full Orbit is Possible.